The role of the practice nurse has changed dramatically in recent times. No longer are practice nurses there simply for dressings and taking blood samples. Our Nurse Practitioner (Sue Dunn) plays an active role in the diagnosis and management of acute illness and is able to prescribe. All our nurses are involved with the management of chronic illnesses such as asthma, diabetes, high blood pressure, and heart disease. They also visit the housebound in their role as community matrons with a view to formulating management plans and avoiding unnecessary hospital admissions. They are supported by our Healthcare Assistant (Helen Firth). As more and more of us venture further abroad travel immunisations are increasingly a consideration before our holiday. Our nurses will advise which immunisations you'll need and arrange for you to have these in surgery. You can always visit the Fit for Travel web-site for more information. All our nurses take cervical smears and can give advice on contraception. The nurses each have a regularly updated Personal Learning Plan and are encouraged to attend training courses relevant to their needs. 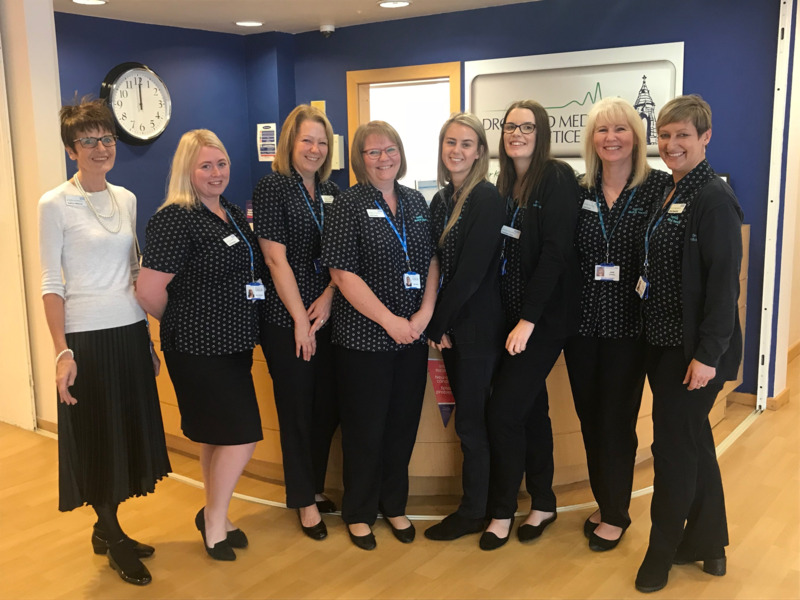 Our reception staff have an extremely difficult job in trying to ensure that all patients get an appointment with the doctor or nurse of their choice. In addition to this they try to ensure your repeat prescription is ready on time, and that you're recalled for your blood test, cervical smear or immunisation. On top of this the phone never stops ringing, there's always filing to be done, and the doctors and nurses need organising! Behind the scenes we have another hardworking team of staff who primarily liaise with the hospitals. Their workload has increased greatly with Choose and Book. While we are paperless the hospitals still send us reams of paper which needs to be processed. We constantly review a variety of aspects of service provision and this team undertakes this vital audit work. Our midwife provides the majority of routine ante-natal care for pregnant ladies. Expectant mothers can chose between the Jessop's Hospital in Sheffield or Chesterfield Royal Hospital if they wish a hospital confinement. Patients wishing a home confinement should seek the advice of the midwife. There is a weekly ante-natal clinic in the health centre. We have a skilled district nursing team who provide care to patients who are too ill or infirm to come to the surgery. Our district nurses are frequently involved in the care of patients following discharge from hospital. They are also involved in the management of chronic conditions such as diabetes. 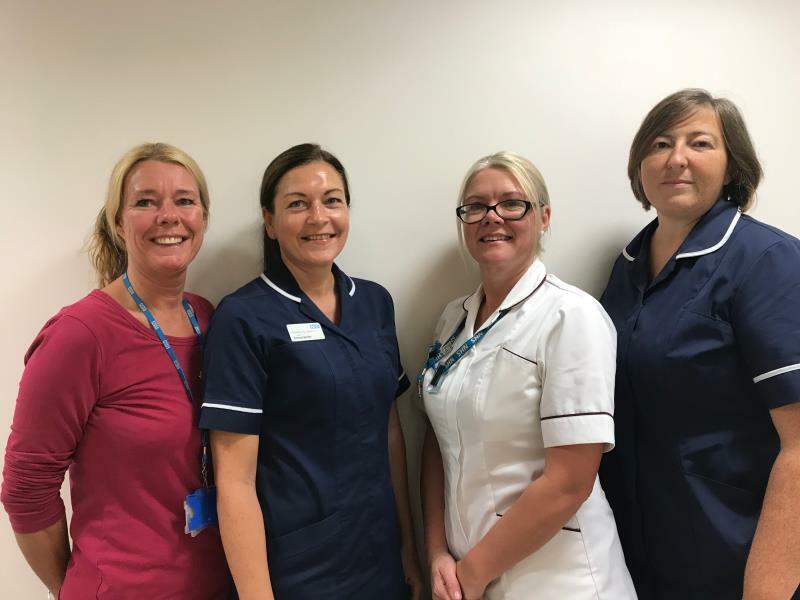 A continence clinic has recently been set up by the district nurses at the health centre with the help of one of the physiotherapists. We now also have a leg ulcer clinic. The nurses can be contacted via the health centre reception on 01246 733241. We have a team of three health visitors who provide advice and support for mothers while monitoring the growth and development of babies and children. They will also give advice on immunisations and behavioural and feeding problems. At the teenage health clinic teenagers can discuss a whole host of issues from sexual health to drug and alcohol problems.